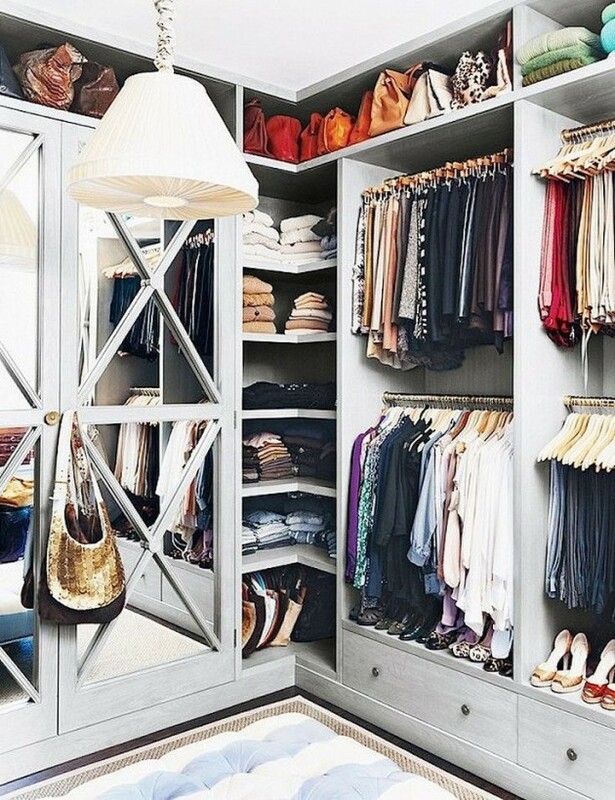 A perfectly-organized walk-in closet is the universal object of desire for every fashionable woman. While you may not have the real estate yet, there’s no harm in taking wardrobe decor and organization inspiration from these 15 stupendous walk-in closets. If your home is spacious, you may find an idea that will fit your home and style perfectly. I’m sure a lot of you have the same problem as I have when it comes to keeping your closet looking amazing. The clothes, shoes and accessories can create a big mess, so here are my top tips for keeping your closet in tip-top shape. Before you even begin to organize, you must do a deep purge. As painful as the process may sound, it must be done. If it’s ripped, stained, no longer fits, or hasn’t been worn in a year, get rid of it! Or you have another option – to donate the clothes that can be still worn! Once you’ve whittled down your wardrobe, group every item by section. Pants, long sleeve tops, sweaters, sleeveless tops, dresses etc… and hang accordingly. Keep your most worn items front and centre. Tuck the less-often used pieces off to the side! It’ll make everything easier to find. Don’t neglect painting the interior of your closet. 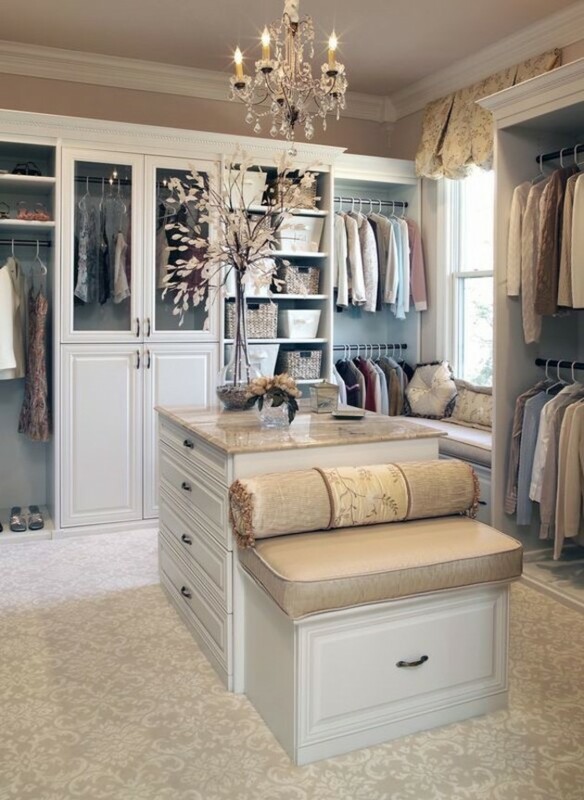 Many people are too quick to assume that a bland, white painted closet is the norm. Instead paint it to match the room where the closet is. Or, paint it to contrast it and really make those clothes stand out. You can make your walk-in closet super personal with eye popping appeal with the help of Dilcon Painting. Since no one wants to accidentally confuse navy with black, lighting is vital to a closet. It can also be a great way to add personality. Try a vibrant chandelier or a statement lamp. Having a (full-length) mirror is a must! If you’re short on space, try hanging one on the back of your door or cabinets. Sliding mirrors are also a great way to save space. Hanger uniformity makes finding garments easier, as it keeps every pieces of clothing at the same level. It also tames the chaotic look that closets often develop due to a collection of dissimilar hangers. Quality hangers can be plastic, metal or wood. Whatever you choose, make sure they’re durable to withstand the weight and type of clothes you’re intending to use them for. Which tip did you find the most helpful? I would love to know your opinion so feel free to leave your comment below. Thank you for reading! Enjoy in the rest of your day and don’t forget to stay up to date with the content of Fashionsy!